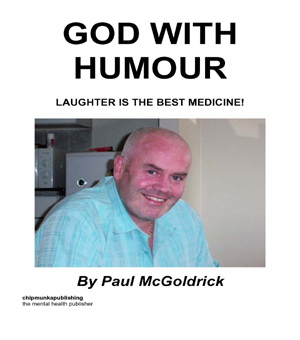 Highly acclaimed working class Scots actor/comedian/author Paul M’Goldrick takes us on a frightening and sometimes hilarious account of his battles with alcoholism and bipolar affective disorder (formerly known as manic depression) Paul leaves no stone unturned in this brutally honest and excellent compilation of his plight and the demons he bravely battled on his journey of recovery. 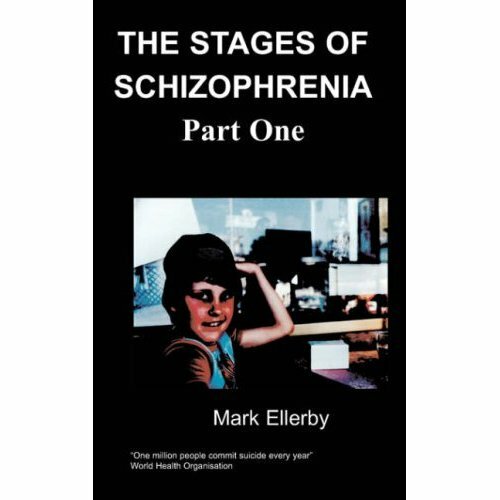 He describes in graphic detail how the illnesses brought him to the depths of despair with many suicide attempts on route and what events led him to be admitted to psychiatric hospitals all over the world. Paul explains how he found a solution by handing his will and his life over to the care of a god of his own understanding, his Higher Power and how it totally transformed his life. He tells us how he found a place in heaven here on earth through the love and support of his family and at the Alcoholic Anonymous meetings he attended. Paul also talks about the role mental health professionals played in the transformation but first and foremost the love and support from his Higher Power. Paul explains that he doesn’t follow manmade religion, that God is more than enough. In Paul’s own words he has ‘survived the mental holocaust’ and you will be astounded at how one man could endure such pain. Paul believes, as it says in all the big books of scripture that there is always light at the end of the tunnel and that after forty four years of being the unhappiest man alive he has now arrived in a place in Nirvana. Hold tight folks, sit back and enjoy the rollercoaster ride! Paul McGoldrick was born in 1963 in the working class town of Coatbridge, Lanarkshire, Scotland where he currently lives with his dogs, Alma and Rocco. The highly acclaimed actor/comedian/author is a recovering alcoholic with a diagnosis of Bipolar Affective Disorder (formerly known as Manic Depression). Paul struggled with his conditions for over twenty years until he found hope and acceptance through the love and support from family, friends and Alcoholics Anonymous. This gave him a strong faith and belief in his Higher Power and he now has the strength to battle his demons, inspiring others as he goes on his journey of recovery. Paul published his first novel, Tobacco Smuggling, Duty Paid, in 2010 and donated the proceeds to Bipolar Scotland. I was born in 1962 in Sunny Coatbridge by the sea in the west coast of Scotland. I took my first dink at ten, a late starter for Coatbridge LOL. Pished the bed that night...trouble from day one. I told my mother Anna the next day that I’d had a nightmare. She fell for my blarney and carried on regardless, cleaning and drying as she went. I became a binge drinker, drinking maybe three or four times a year and I don’t mean winter, spring, summer and autumn, no, but every time I took a drink there was trouble, whether mental, physical, financial or spiritual. Now I’m on the spiritual spectrum I must emphasize that I’m not in the God Squad but I do have a power greater than myself, a higher power, who guides and loves me on a daily basis. I don’t have religion- God is more than enough, whoever he, she or it may be. I wouldn’t be arrogant enough to explain it to anyone today as it tells us all in the big books of scripture – Koran, Torah, Bible etc that it’s beyond understanding. For me finding out that it’s not what we drink or how often we drink, it’s what it does to us was very revealing. Like most folk I thought the alcoholic was the less fortunate person living on the planet with a long beard and wearing two long coats tied with a piece of long rope. No, no, no, alcoholics come in an enormous variety of people – middle, upper and lower class. It’s the first drink that gets us drunk. It may sound strange but when we take the first drink this creates the phenomenon of craving....one goes to two, two goes to four, four leads to eight etc. One is too many and one hundred is not enough. Alcoholism is a family illness; it affects everyone round about us: family, friends, police officers, nurses, doctors, court officials, the list goes on. It’s likened to a hurricane as we blow in and out of people’s lives causing destruction wherever we go but until we seek the relevant help we are powerless over the curse. Alcoholism is cunning, baffling and powerful. It’s an insidious illness and it’s the only illness which tells us it’s not an illness. Can you imagine throwing bipolar into the mix and you’ve got a recipe for disaster? No wonder I had a season ticket for the psychiatric hospitals, the loony bins, the nutcracker suites, the laughing academies, the jigsaw rooms. Yes, this is what I also called them when I was a narrow minded person as well and to my demise. Yes. What goes around comes around. I was the biggest stigmatiser alive. Always looking at other peoples’ character defects because it was less painful than looking at my own. I was as sick as a parrot but oh boy did I come down with a bang. More like an explosion LOL! Yes, I ended in a war with myself; the blame game had to stop. I blamed people, places and things all my Life. I have a choice today – to be happy or sad, simple. We are all responsible for our own thoughts. No one can hurt me. I can only allow people to hurt me. If they are trying to hurt me then they are so messed up in themselves so they need pity, they’re not well. How do I know? Because I was one of those people, a horrible, horrible existence.